I had a chance to catch up with my friend and fellow photographer Jon Cornforth yesterday. It's the first time that we've had a chance to talk since July, as I was in Tonga for all of August and September, and Jon was also away for several trips during that time. 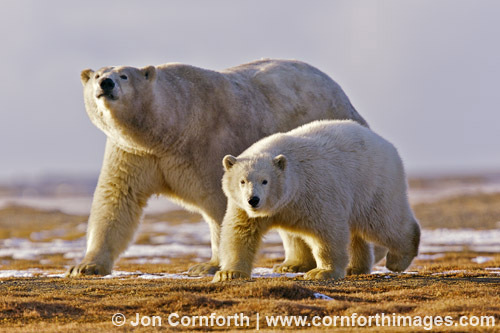 Jon told me about his quick trip to the Bahamas to swim with Atlantic spotted dolphins, as well as two trips up north to spend time with brown bears and polar bears. As a result of our conversation, I now know what bear spray is. I haven't the slightest notion of when such knowledge will ever be of use to me (I am sane. I have no immediate plans to stand in front of a hungry, 800-pound bear. ), but hey...I learned something new. Moreover, Jon also taught me that it's possible to talk in a stern, but not aggressive, voice to brown bears, in order to show them who's boss. I should've asked Jon to demonstrate for your listening pleasure, but it didn't occur to me until later. Drat. 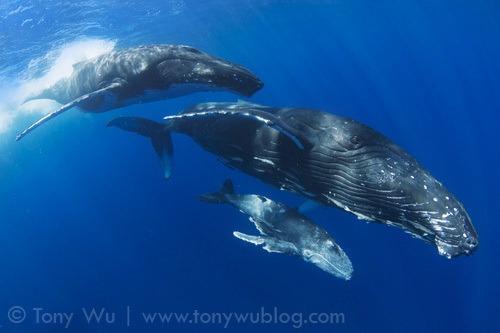 In return, I told Jon about the amazing humpback whale season I had in Tonga, with at least 45 mother/ calf pairs ID-ed. In case it's not obvious...that's a lot of baby whales! I also prattled on for a bit about some interesting, perhaps unique, observations I had this season with humpback whale escorts. Finally, we spent a few minutes chatting about the open letter that I posted recently as a template for photographers to use when responding to requests for free or dirt-cheap images. In the few days since I posted that text, I've literally received hundreds of emails and other messages from photographers around the world expressing frustration, anger and disappointment with respect to their own experiences. From the high number of responses across all areas of photography, it's clear that this issue is one that resonates across the entire photographic community, as well as other creative professions. If you're a photographer, whether well-established or just getting started, it's an issue you'll probably have to face, so it might be worth a listen. Finally, here's a video Jon posted of himself shooting the polar bear photo above. And no, that's not automatic weapon fire. It's the super-amazing shooting speed of the Canon 1D MkIV.